Happy lunar new year to all. 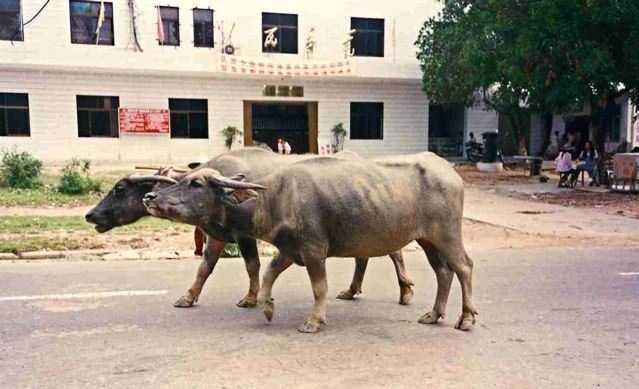 This new year is the Year of the Ox, according to the Chinese zodiac. I wish you all a successful year ahead. Hong Kong is a wild place. 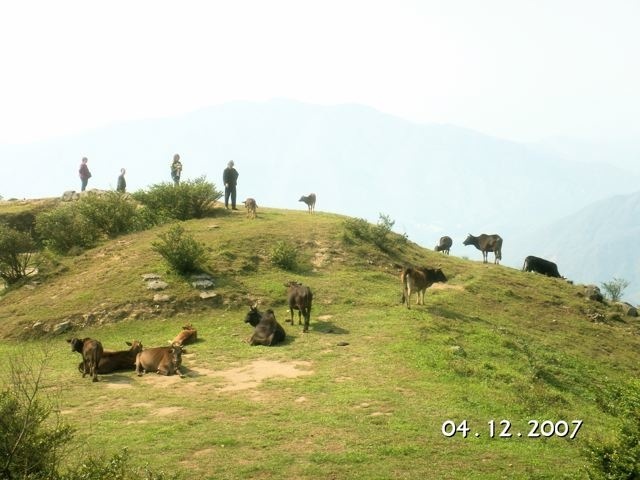 Its countryside is overrun with 800 feral cattle and water buffalos. They are descendants of cattle used by Hong Kong farmers only thirty years ago, and let loose when those farmers gave up farming. As those cattle worked hard for their owners, the owners could not bring themselves to slaughter their old friends and servants. They let them roam on their own and enjoy their retirement. 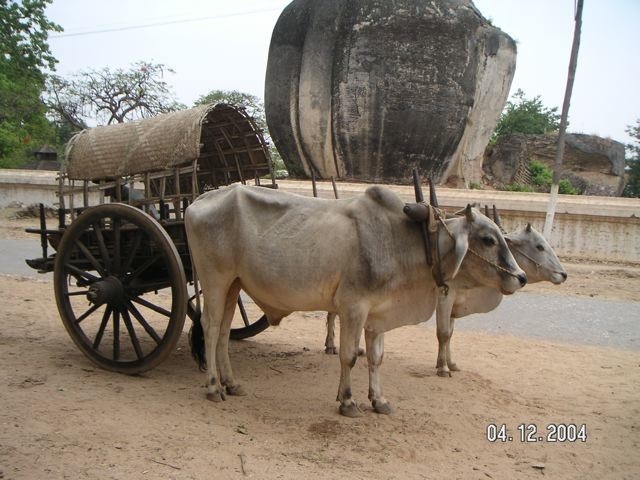 These feral cattle enjoy a leisurely life free from harassment as if they were in India. They have wide open country parks to roam in, endless grassland to feed on, can have families, and can bath in the ocean beaches. Hong Kongers are usually tolerant of these animals, rarely complain about them, and make Hong Kong a bovine heaven. 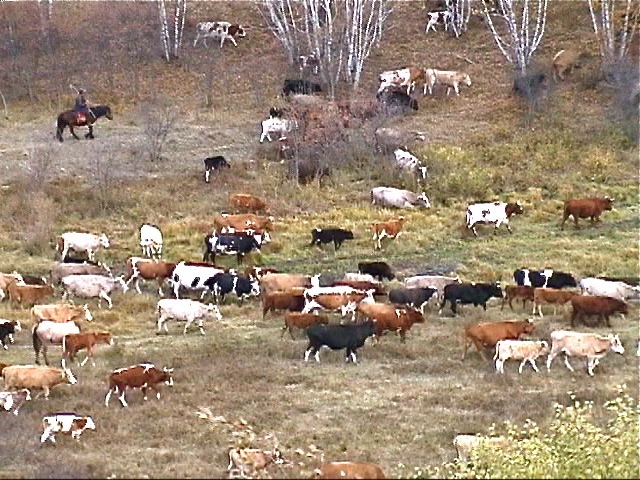 Here, a herd of feral cattle lazes on TaiMo Mountain, ignoring the gaze of some curious people. 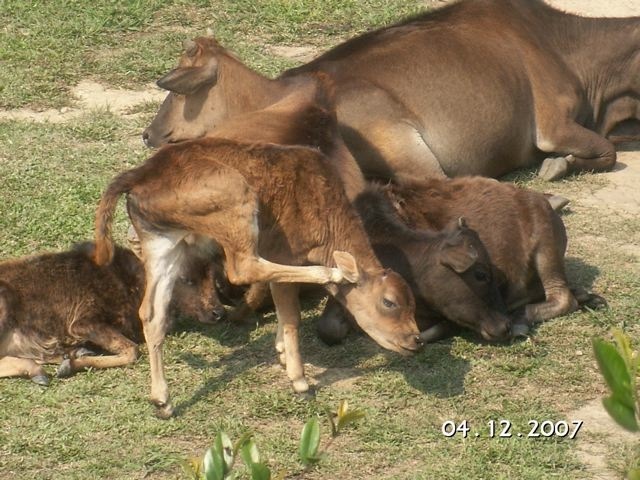 This herd has a few calves that romp with one another as their mothers laze. 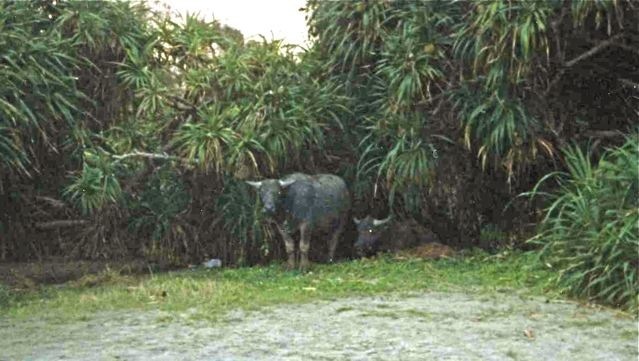 Sally was on a Lantau Island beach when a few feral cattle strolled by. They went into the sea and played in the surf. 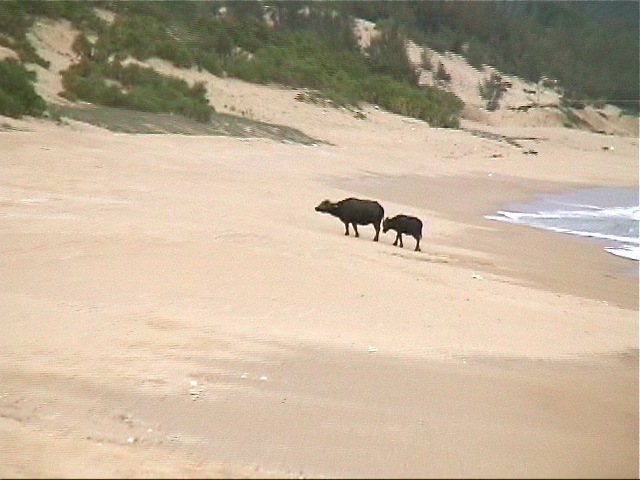 These two feral water buffalos were alert to our presence. They looked like teenagers caught doing something naughty. 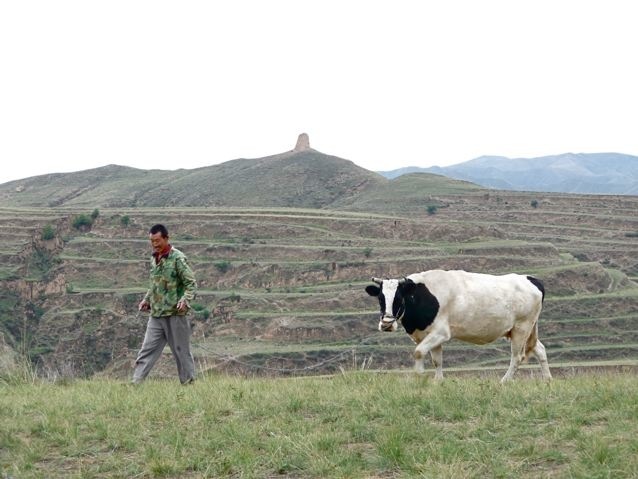 In China, cattle are still being used a draft animals. 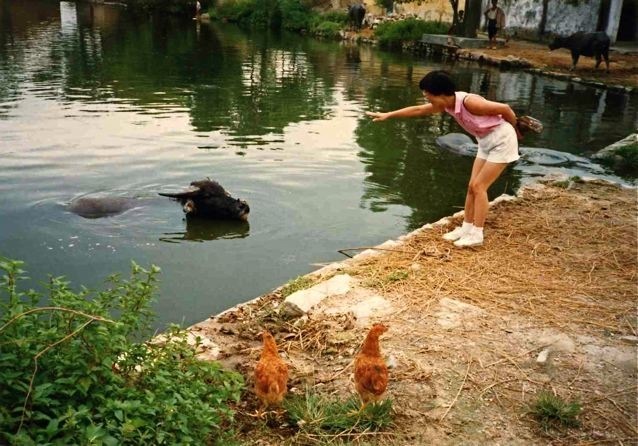 Water buffalos enjoy soaking in water, and their owners let them enjoy themselves in village ponds. Here, Sally tried to entice a happy buffalo out of its comfortable bath. She failed. Water buffalos soak in water as much as they are allowed. 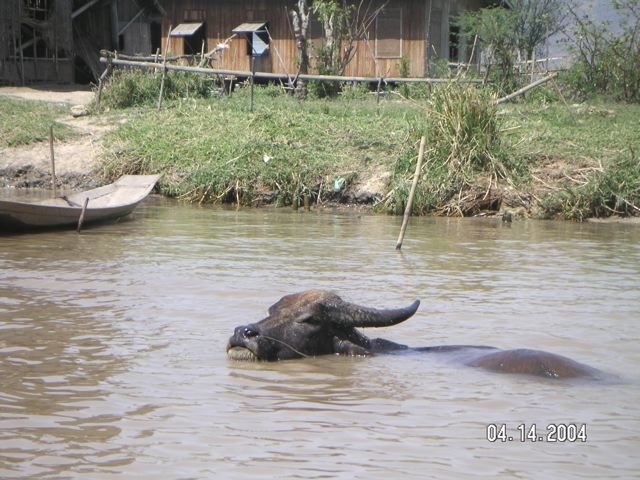 This one soaks in the river of a Myanmar village. 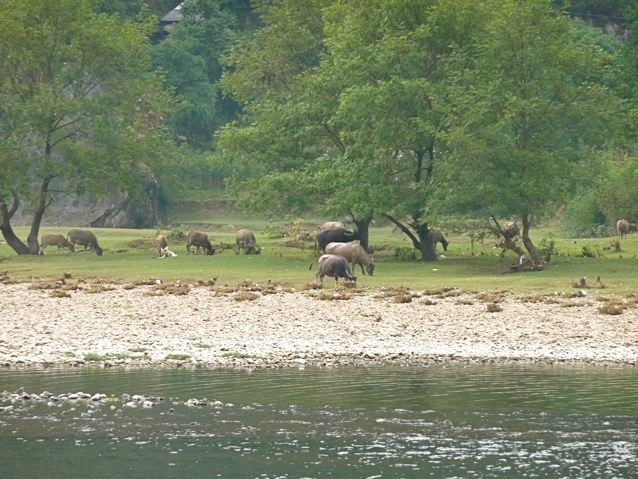 A herd of buffalos graze contentedly by a river in China. 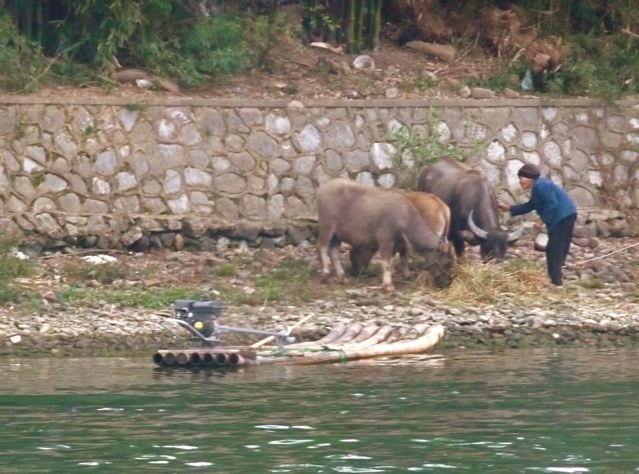 An elderly Chinese woman coaxes her prized buffalos to eat well and be strong to work hard. 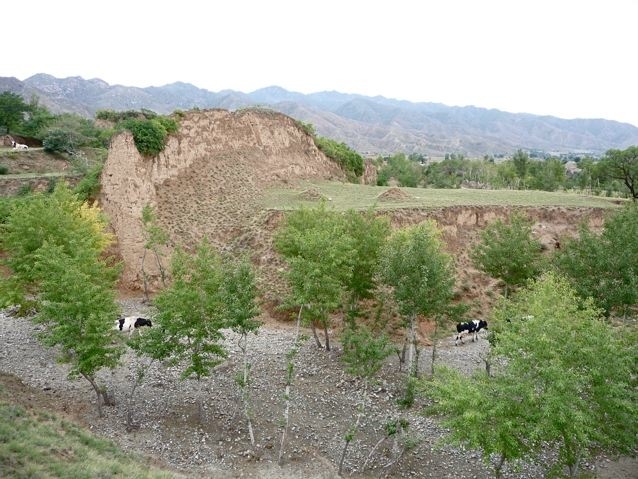 China imported holstein cattle to produce high quality milk. They are substantial investment and the farmers take good care of them. A farmer takes his precious holstein for a walk. Milk production in China from these holsteins became a scandal when their milk was contaminated with melamine. These holsteins lying and walking in the countryside are innocent victims of the greedy milk farmers and processors. Two people who contaminated the milk got the death sentence. Sometimes cattle have to do some work. These two pull cart, but it does not seem to be hard work and they don’t look like they minded. 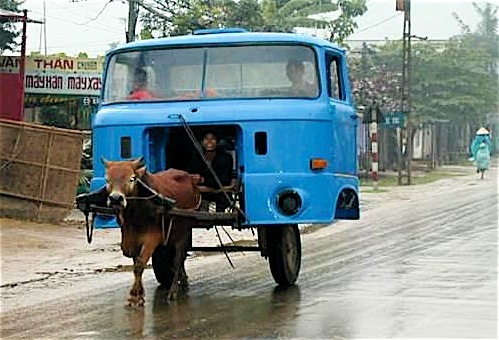 But this cow must be feeling humiliated in addition to working hard. It probably got plenty of ribbing from the other cattle when it got back into the barn. Being a gentle soul has its disadvantages. 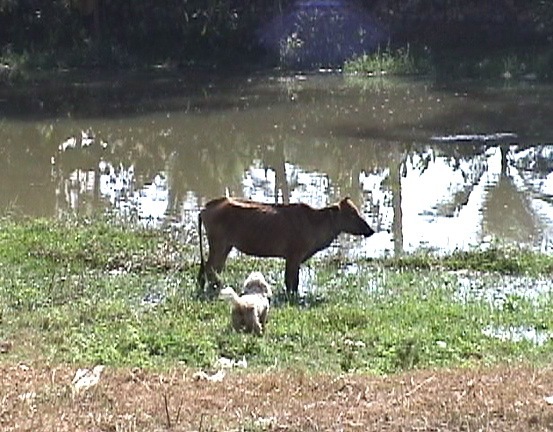 A cow minding her own business is harassed by a nosey dog in Myanmar. 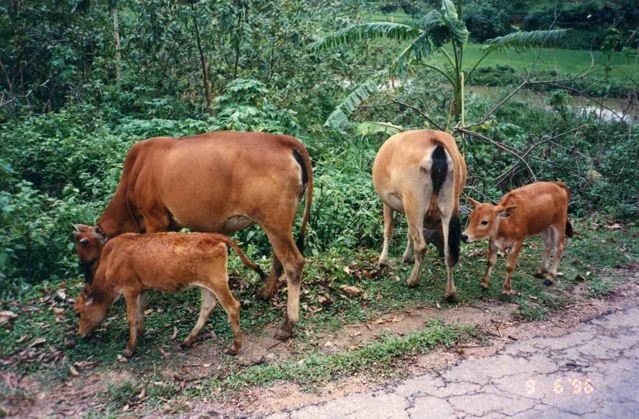 Most of the time, cattle are left alone to enjoy family lives. 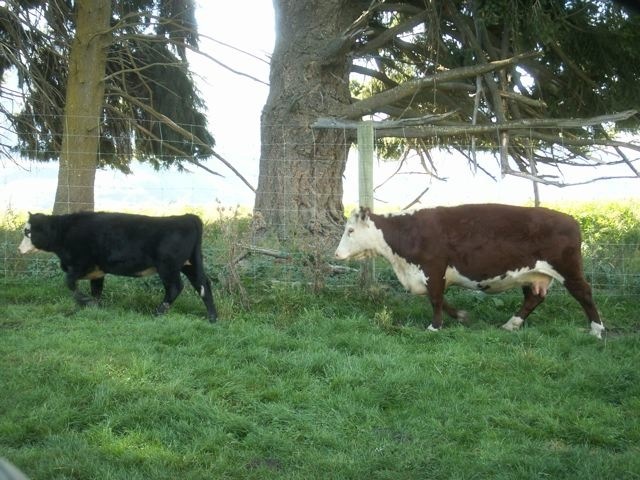 Calves are loved by their mothers and learn the gentle art of grazing and being obedient to the owners. When the calves behave, their mother take them for a stroll on the beach and even take a dip in the ocean. Friends have plenty of time to take a leisurely walk down the street, maybe to the local bar for a beer. When it rained, these cattle in a New Zealand farm walked in a file under the line of trees to keep dry. 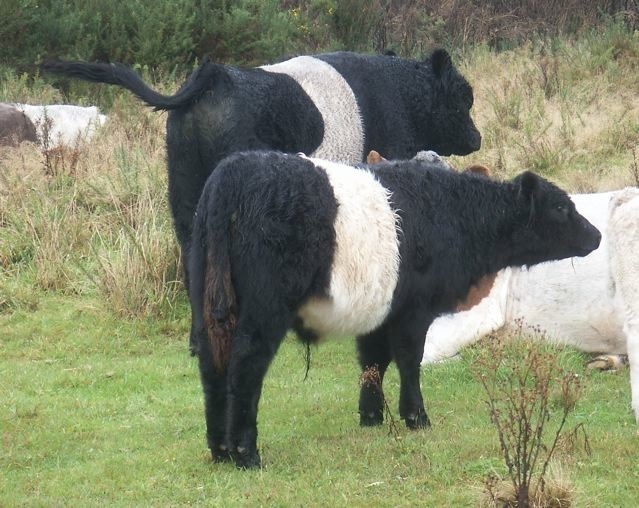 I saw these cattle in a distance from our car and I thought their owners shrouded them with sheepskin to keep them warm. I doubled back to find them shrouded in their own fur. This photo look like we were in a dangerous stampede. 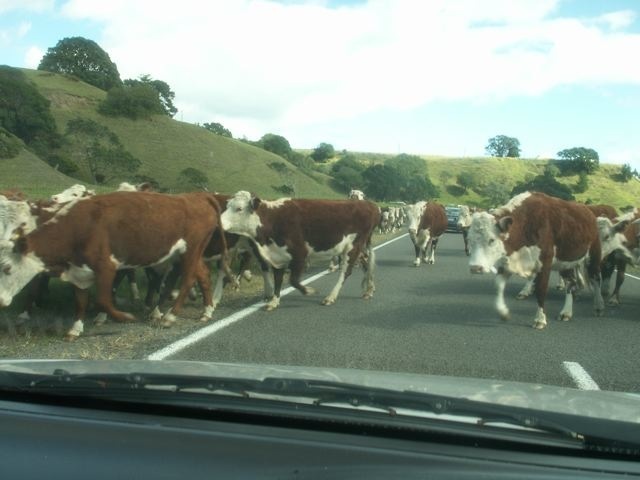 But actually, the herd of cattle was only walking from one pasture to another. These colorful cattle in Inner Mongolia made a deep impression on Sally. 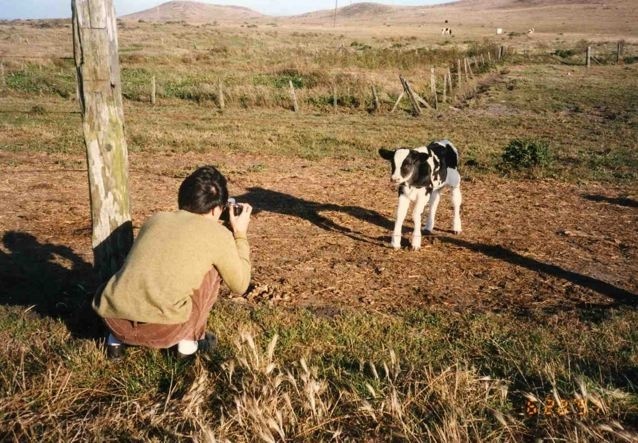 My son, Bryan, took a picture of a calf, and it obliged by standing still. It almost looked like smiling for this picture. 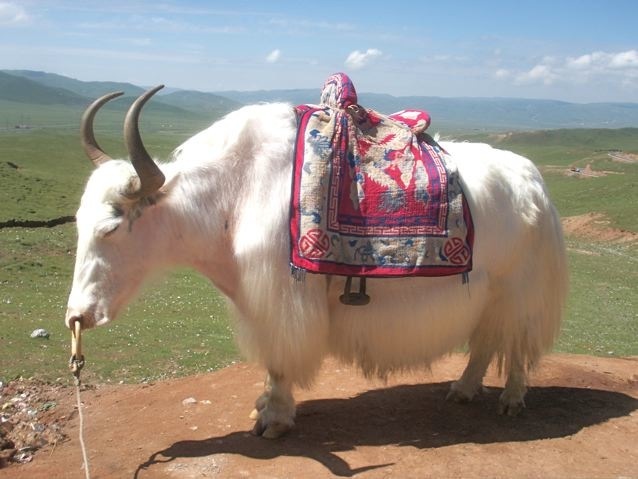 This beautiful white yak in QingHai was well groomed and saddled with a colorful carpet. 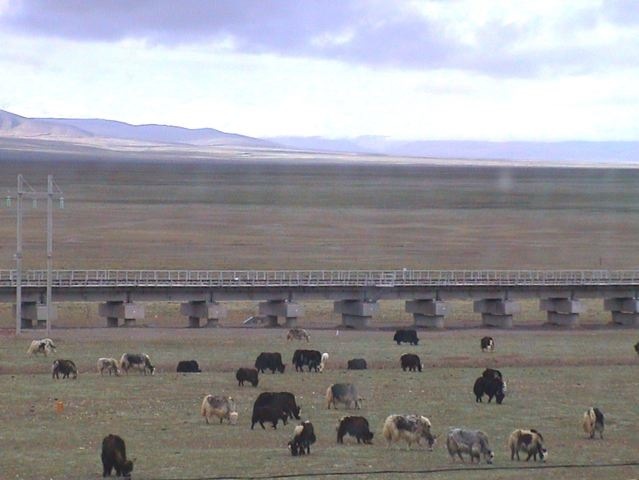 A herd of yaks grazed on a wide open Tibetan plain next to the QingHai-Tibet Railroad. They are a perfect picture of contentment. Posted by Robert Wu on Friday, January 23, 2009, at 9:25 pm. Filed under Uncategorized. Follow any responses to this post with its comments RSS feed. You can post a comment, but trackbacks are closed.